Constructionline conducts a number of validation checks that they know are of interest to their buyers, using an enhanced prequalification questionnaire that goes beyond PAS91. They assess a company’s credentials for environmental management, quality management, equal opportunities, modern slavery act adherence and anti-bribery and corruption policies. As well as enhanced prequalification, all Gold members are assessed for Safety Schemes in Procurement (SSIP). 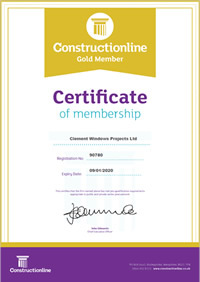 Constructionline’s Acclaim team is accredited to assess and award ‘Deemed to Satisfy’ SSIP certificates for health and safety, a credential that all construction buyers look for in a supplier.